Greater Nashua Elks Soccer Shoot Champion, 11-year-old Alexandria Kapopoulos of Nashua, won the U-12 girls state title as she scored 42 points in the 2016 New Hampshire Elks Soccer Championship last Sunday at Portsmouth High School. Four other Greater Nashua Elks Soccer Champions also did well, finishing second in their respective age divisions: 12-year-old Carly Morse; 12-year-old Max Lopez; 10-year-old Joona Hantula; and 8-year-old Maxim Makar. Also competing from Nashua was 6-year-old Bianca Sadoski. The other seven state division champions were: Sienna Litlefield of Rochester (U-8 Girls); Bailey White of Dover (U-8 Boys); Gianna Matranga of Derry/Salem (U-10 Girls); Thomas Dunlap of Rochester (U-10 Boys); Nathan Phan of Derry/Salem (U-12 Boys); Claremont’s Annika Rarcliff (U-14 Girls); and Robert Raymond, also of Claremont (U-14 Boys). They will all continue to compete in their respective age divisions in the Area 1 Regional Elks Soccer Shoot in Burlington, Vt., from Nov. 4-6. That will be the final level of the Elks Soccer Shoot Program. The Nashua offensive line set the tone in this performance, for which by rule the score is not officially kept. 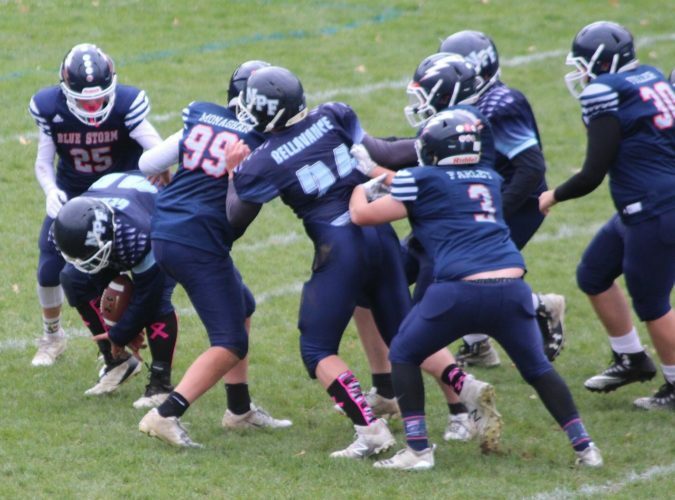 Players of the Week went to Connor Johnston for his defensive tackles and fumble recoveries, Dharyus Sisay for his tackling, Trevor Drouin for his strong blocking, David Bedard for his tackling and runs, and Tayten Zubhuza for yards gained and multiple touchdowns. 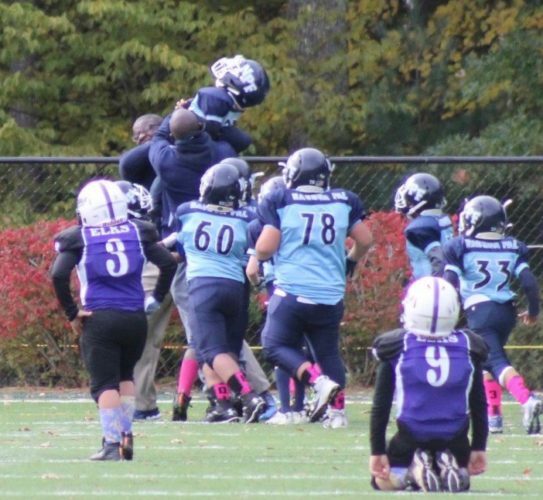 The Nashua Pal Force 11U team topped the Manchester Cobras 25-6 to improve to 7-1. Derek Finlay scored Nashua’s first TD just minutes in behind blocking by Dario McAnespie, Xavier Francis, Lola Cambray, Mekhi Gerrin and Devin McNeil. Also, Nashua had Charlie Bellavance, Reid Lavoie, Patrick Keegan, Demitriz Sanchez and Bryson Borromeo carrying the ball. Toby Brown Jr. helped key an Adam Noone sack that also sparked Nashua. Ethan Preston-Teixeira and Ryan Flynn also had two key fumble recoveries while Zach Connerty and Brady Sullivan also played well. Aiden Carrion, Mirolqui Tavarez and Xavier Jalbert also played well up front, while Reagan Brunet, Amaury Almonte and Finlay dominated the scoring. Jack Peters was also instrumental in the win while the PAL Divison 10 cheerleaders also won their competition in Bedford. 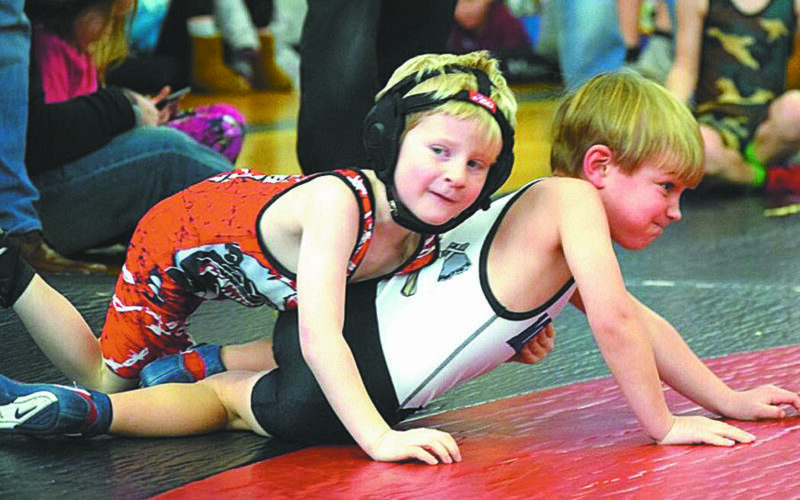 The second registration session for the Merrimack Youth Wrestling Association will be held Saturday, Oct.29 from 10 a.m.to 2 p.m. at the MYA Building. 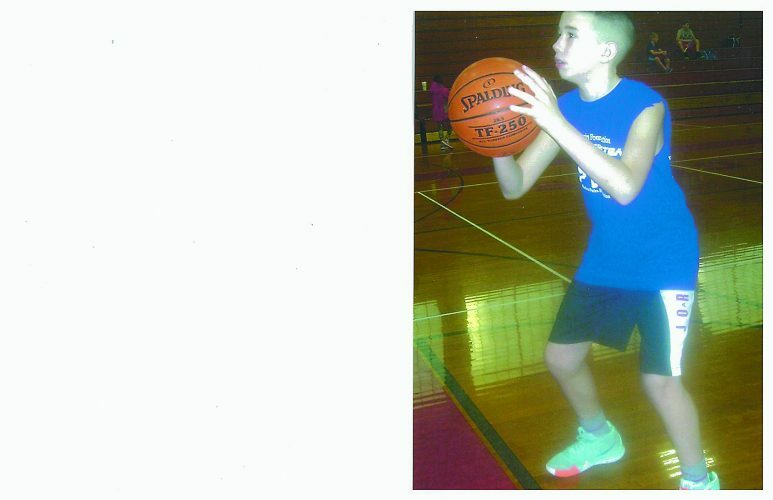 The program is open to Merrimack boys and girls in grades K-8. Youths may pre-register for the season online at www.myawrestling.comand also attend next Saturday to finalize the registration process. If anyone cannot attend the final in-person registration they can e-mail the Director (Gary Krupp, director.myawrestling@gmail.com) to make arrangements for youths to get registered for the season.